Sringeri Shankaracharya’s Talk on Bhakti! 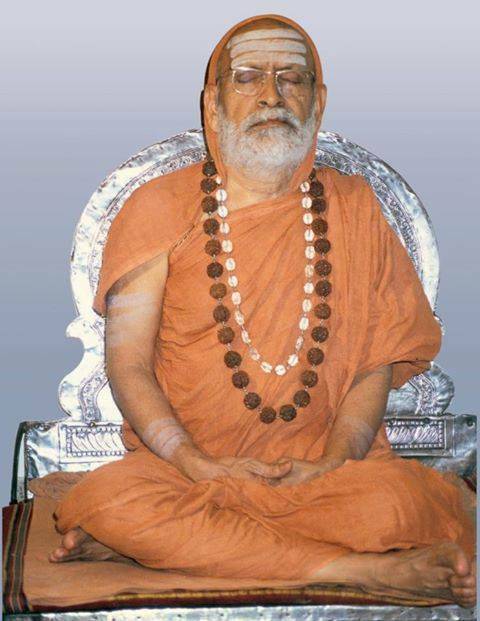 People of my age were lucky to have the darshan of two great Shankaracharyas of Kanchi and Sringeri. Because of them the Mutts got great recognition from even secular circles. Kanchi Paramacharya Sri Chandra Sekhara Indra Sarasvati (1894-1994) and Sringeri Shankaracharya Sri Abhinava Vidhyatirtha Bharati (1954 -1989)—both had visited Madurai several times and camped there for weeks or months. It is inherent in man’s nature to develop an attachment or devotion to some object or other. Even the Mumukshus are devoted to the attainment of Atma –Jnana or knowledge of the Self. When devotion is directed towards God, it is designated as Bhakti. God is worshipped even by those who have attained the knowledge of the Atma. It is therefore needless to say that God should be worshipped by the seekers of knowledge, wealth and other objects. God has assured to the mankind in the Bhagavad Gita that his Bhakta will never perish. Faith in God and Bhakti towards him are therefore sure to save mankind and secure its good. Works like the Bhagavata have been written solely for the purpose of helping mankind to foster Bhakti by reading them or listening to them. In the Vishnu Sahsranama, God is described as Bhayakrt and Bhayanasanah. If he generates fear, it is only as a temporary test or a trial of our devotion. He destroys all fear ultimately. 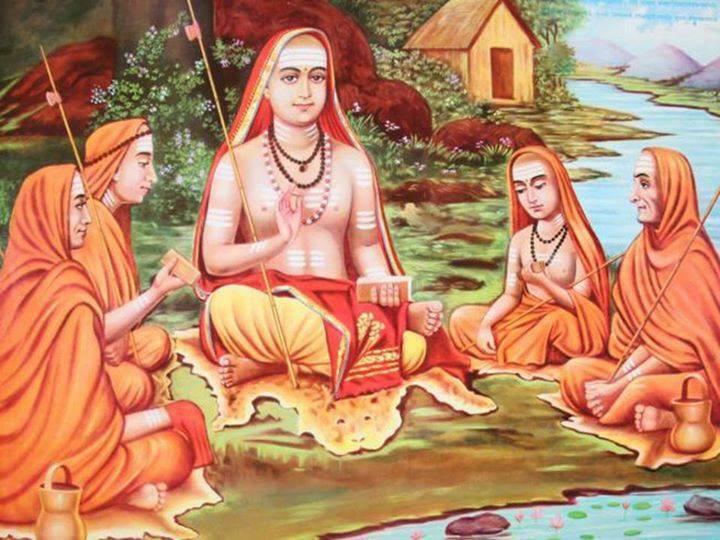 Adi Shankara has given a wonderful description of the true nature of Bhakti in one of the Slokas of Sivanada lahari (Sloka 61): The bahkta is stated in that Sloka to be drawn towards God, becoming one with him even as the seeds of the Ankola tree are at the due time drawn towards the tree itself as iron towards the magnet. The waters of the ocean are converted into clouds and the rains that are released by the clouds become the rivers and all rivers ultimately flow in to and become one with the ocean. Even as the rivers merge into the ocean, so should Jiva merge itself into the Paramatma (God). Every drop of the waters of the ocean partakes of all the characteristics of the entire waters of the ocean. So does the Jiva partake of the Chaitanya of the Paramatma; only the Chaitanya of the Jiva is limited while that of the Paramatma is limitless. Bhakti should be taught along with ordinary education to everyone from infancy. Nama sankirtana such as the chanting of “Hare Krishna, Hare Rama” is a great sadhana of Bhakti. To be born as a human being in this world is a rare fortune. It is true that the Devas are not afflicted by old age; but they have no Adhikara, competency to practise the sadhanas necessary for attaining the Divine Bliss or Mukti. The path of Karma, which is otherwise known as the Pravrtti –Marga requires the help of others; but the path of Bhakti does not require any extraneous help. It should, however, be remembered that just because one has developed great devotion to God, he is not absolved from the duties enjoined upon him by the sastras (scriptures). It is only by practising right conduct one can attain the fruits of bhakti or devotion. The merchant Tuladhara conducted his trade with the object of making available to those that needed the things that he was selling at reasonable prices with allow margin of profit and did not want to get rich or get rich quickly. 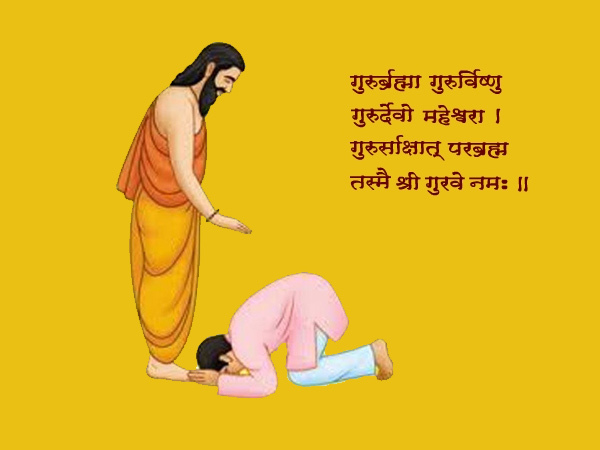 His devotion to God coupled with his right conduct helped him to attain Mukti. The lives of Dharma Vyadha who was a butcher, of Dhruva who was a boy, of Gajendra the elephant, of Vidura who was not high born, of Ugrasena the weakling king and of Kubja the deformed maid servant, who were all great Bhaktas, should serve to illustrate that Bhakti can be attained and practised by one and all without any extraneous help, by one’s own efforts and does not require any special qualification. Purity of thought is absolutely essential for Bhakti. Flowers to be offered to the Lord with the intention of worshipping Him. Such worship yields the desired good results. The story of Manmatha illustrates the importance of intention in the matter of worship and Bhakti. Manmatha’s arrows, no doubt, consisted of flowers; nevertheless, since his shooting them at Lord Shiva was for the purpose of causing disturbance to his Tapas (penance), it resulted in his being reduced to ashes. This shows that the attitude of sincere devotion alone counts and not mere external show. In a sloka in the Bhagavata, Prahlada explains to Hiranyakasipu that there are nine sadhanas to foster Bhakti, namely, Sravana, Kirtana, Smarana, Padasevana, Archana, Vandana, Dasya, Sakya and Atmanivedana. Listening to the stories of God’s Lilas, singing His praises, and constantly remembering them are the first steps. Visiting holy shrines and offering worship to his images are also sadhanas. Vandana helps to express our wish to seek refuge in Him. One should regards himself as God’s servant and do service to Him and to all created beings, which are but his manifestations. One should regard himself as God’s Sakha and knowing his mind, serve him and place him in every way. Ultimately comes the stage when one offers himself up to God effacing his self completely. May God help us all to attain the right type of Bhakti! டெலிபதி மூலம் செய்திகளைப் பரிமாறும் காலம் வருகிறது!